Will Pauly D Would Date Jenni ‘JWoww’ Farley or Not? 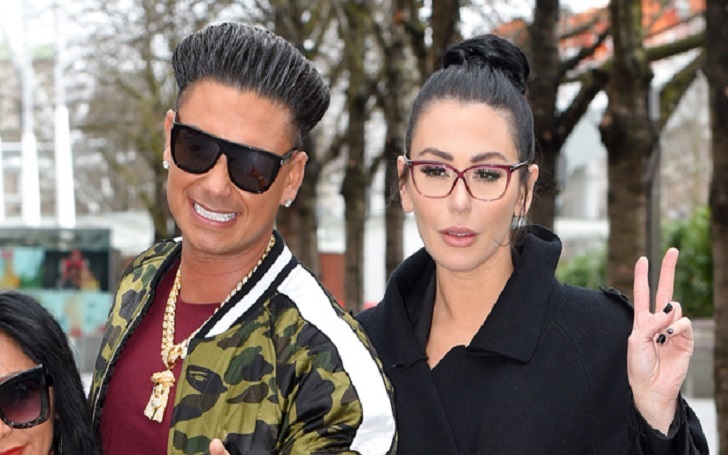 Paul 'DJ Pauly D' Delvecchio and Jenni 'JWoww' Farley both are finally single ten years after hooking up in Jersey Shore, but the DJ doesn’t want to date her. Reports that the pair were seeing each other surfaced after the DJ, 38, threw his 33rd birthday party to his co-stars last month. However, Pauly exclusively told Us Weekly that he and JWoww are still just friends. During his visit to the studio of Us Weekly with his Double Shot at Love co-star Vinny Guadagnino on Tuesday, April 9, he told the outlet, "She’s a great girl, she’s awesome." He added, "But she is like a sister to us, she’s like family. I wouldn’t want to cross that line again." Guadagnino the agreed that JWoww is like "my older sister at this point," adding that they "never really had that thing." Pauly then admitted that it was "awesome" to invite the actress to the birthday bash after she parted ways from her husband Roger Mathews. She had no idea. You know how hard it is to keep a surprise from her?” Pauly tells Us. “She pays attention to everything. … It was so, so hard. Additionally, Angelina Pivarnick and Deena Cortese were among the Jersey Shore co-stars who joined get-together at Harrah’s casino in Atlantic City on March 9. According to an eyewitness, JWoww "was so happy and in great spirits and was truly blown away by the surprise." She filed for divorce from Roger in the late September citing the reason as "irreconcilable differences" after three years of marriage. The former couple had tied the knot on October 18, 2015. They share two children, son Greyson, 2, and daughter Meilani, 4.